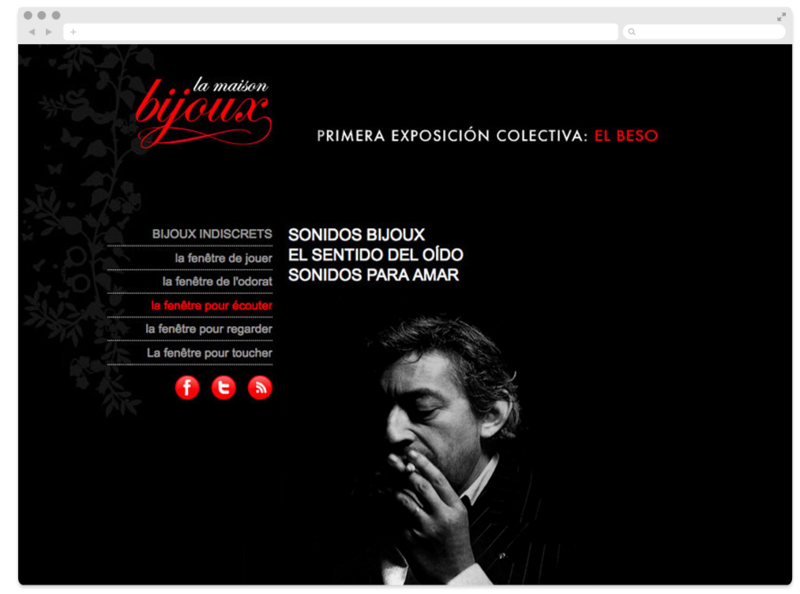 Art direction and UI-UX design of the new blog of Bijoux Indiscrets. 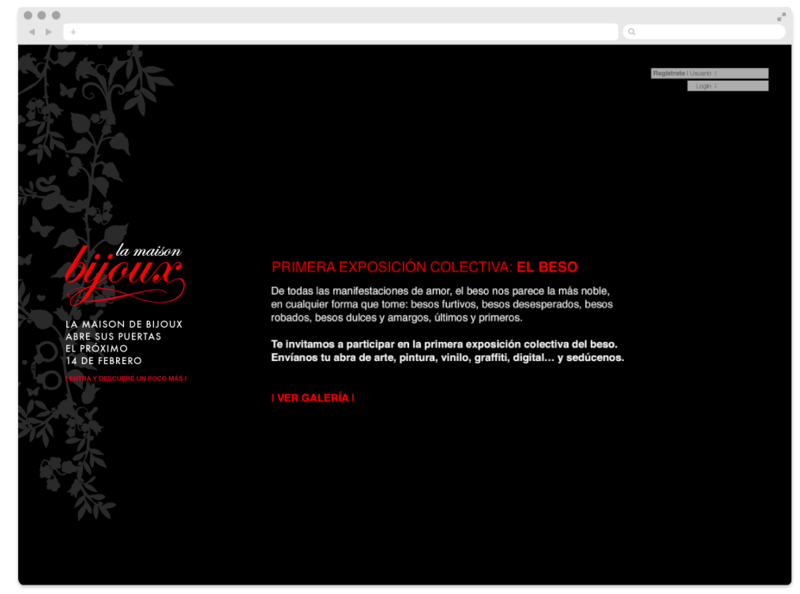 Creation of the strategic definition and development of the promotional action “the kiss”, aimed at generating traffic to the blog. This is divided into 5 sections represented by the 5 senses: window to play, window to hear, window to look at, window to listen to and window to smell. 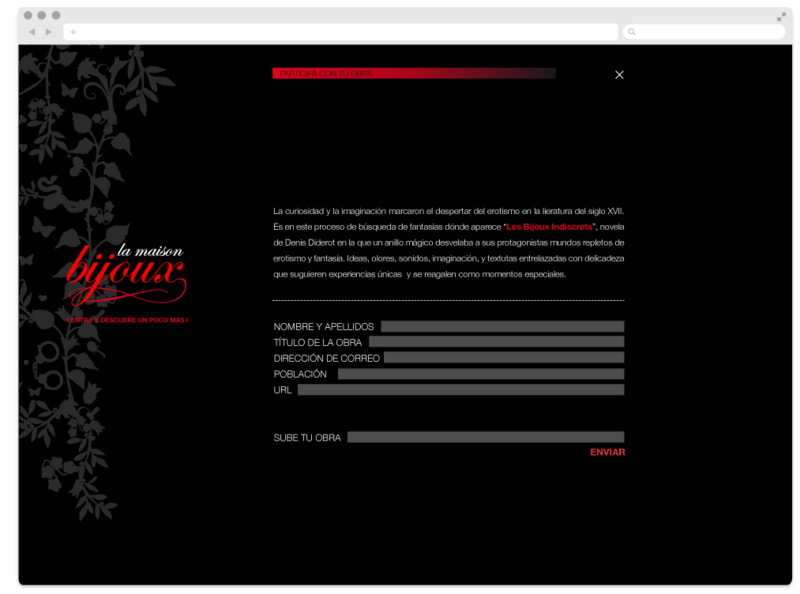 Each of the windows was represented with one or more products of the range Bijoux Indiscrets.